Writing and sending letters are very common. We write letters for different occasions. We write letters to express our interest toward a person; we may write to say, “Thank you,” “How are you?” or “I’m sorry!” We write letters for personal matters. We can also write for more formal or business situations. For instance, we write to apply for or resign from a job. 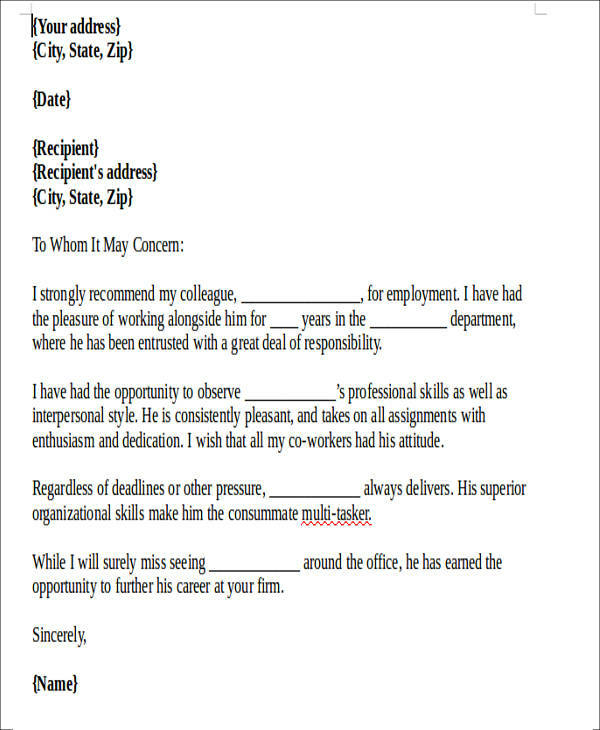 We can also write letters to recommend a person we think is fit for a position. Letters are one way for us to communicate our feelings and our intentions. 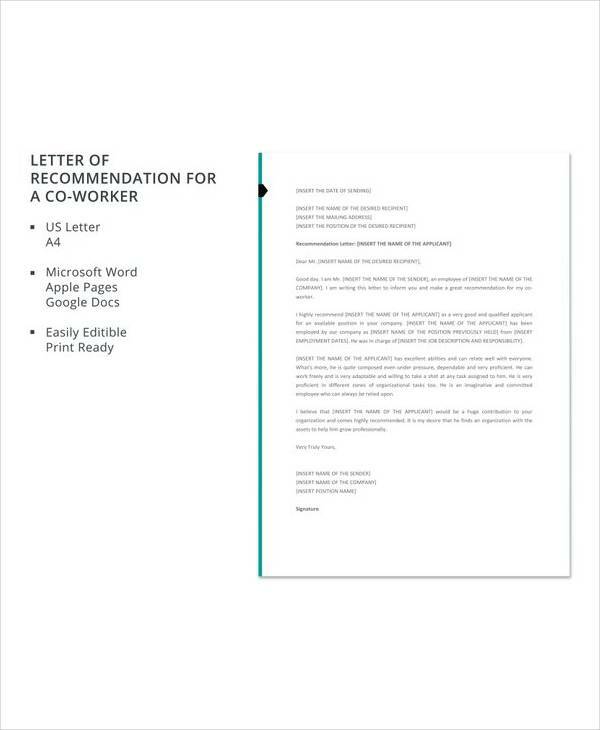 This article focuses one of the innumerable purposes of letter-writing—letters to recommend a coworker. Below are Sample Letters you can download for free. State important details about the person, her name, age, address, and contact details. Do not forget how you came to know the person. In this case, since he/she is a coworker, you may describe your professional relationship with him/her. Enumerate his/her skills that might be helpful if he/she lands the position. You can also discuss academic qualifications, merits, and training—for a dash of persuasion. Present how he/she performs his/her duties. Since nobody is really perfect, you can also discuss some traits or areas where he/she can improve. Remember that you are trying to put a person in a good light. But do not forget that you have to be honest with your assessment. You may write in a manner that is formal. You may also write in a manner that sounds a bit personal. 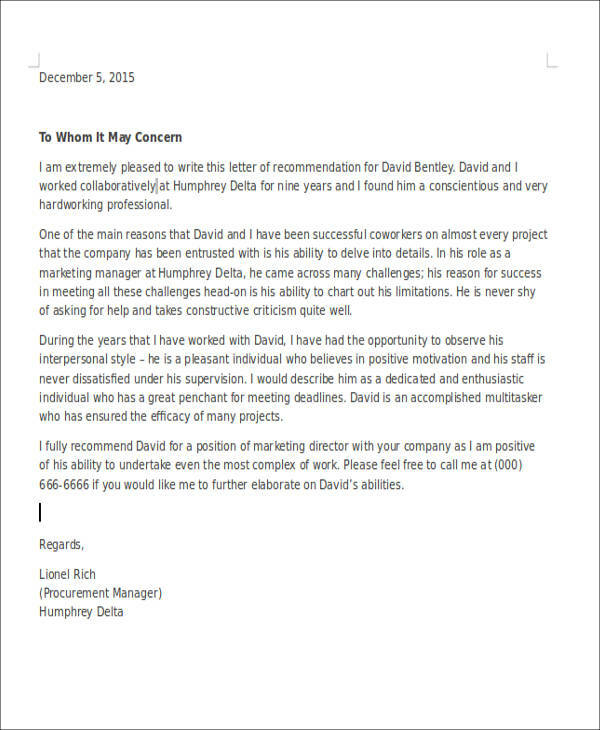 You may check out our free Personal Letters of Recommendation. Just keep in mind that whatever your tone is going to be, you have to sound enthusiastic for having that person on board. Companies have different methods in looking for prospective employees. They can either do personal interviews, examinations, or activities where the necessary skills they are looking for from an applicant are evaluated or they can either read letters. 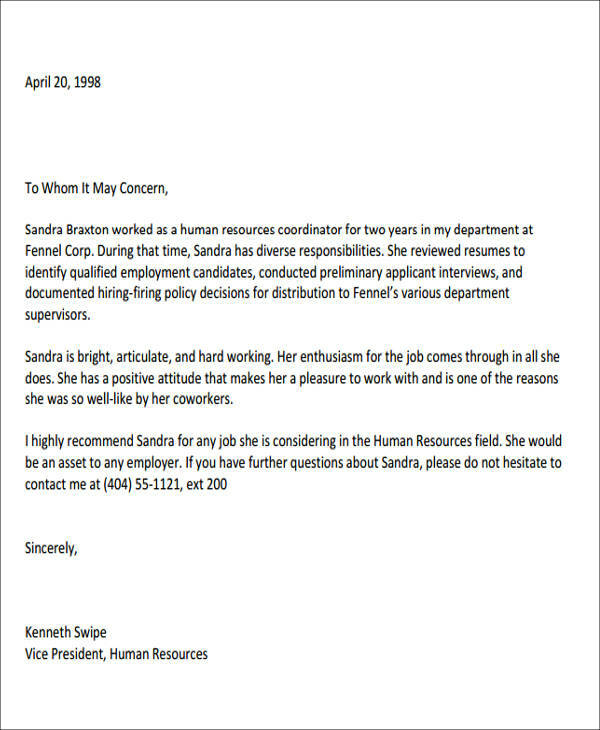 Letters may be from the applicant or from somebody who wishes to recommend an applicant for a position. 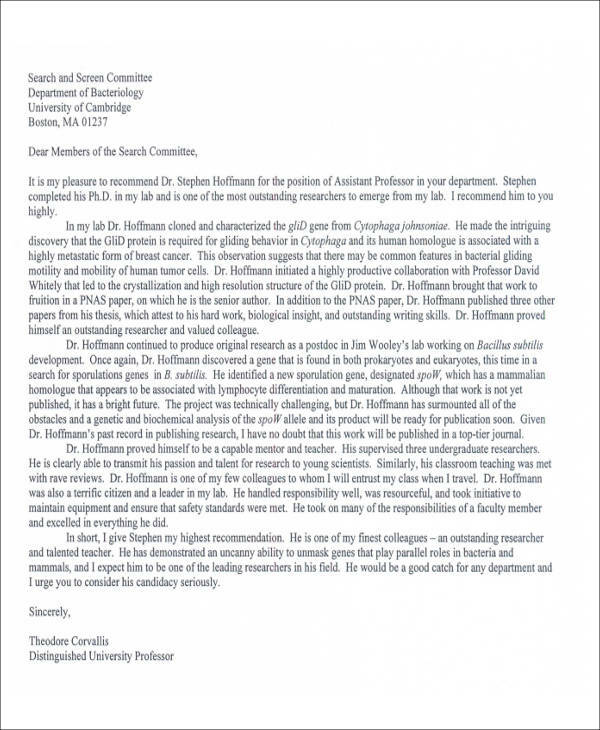 This is where recommendation letters are used. Letters are great way to convey what we feel. Some may have a hard time speaking, but at least, in writing, one is given time to formulate what he/she thinks and wishes to say. In case you are vying for a position you have been wanting to get, you know the things that are at stake. If talking makes you nervous, at least the letters can really help in expressing why you are perfect for the position. 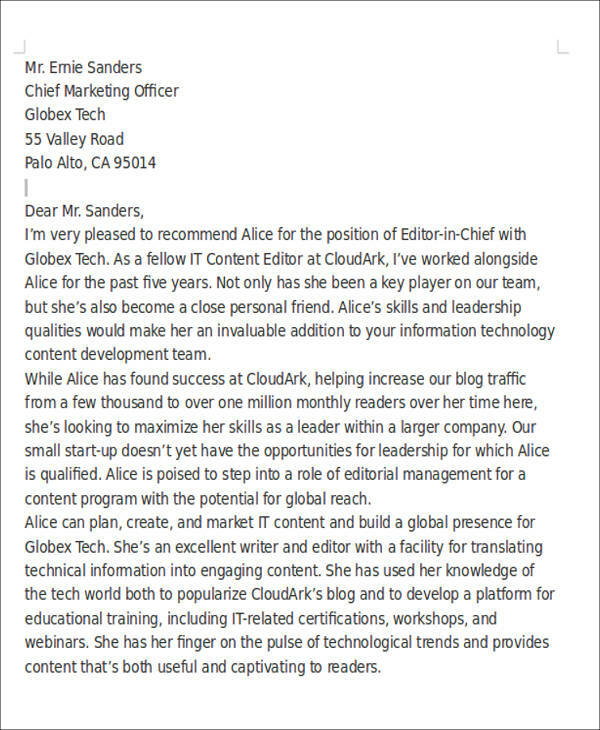 Plus, the great thing about letters that recommend is that your future employers can get a chance to get to know you from other people’s perspectives. Your accomplishments are verified through recommendations. 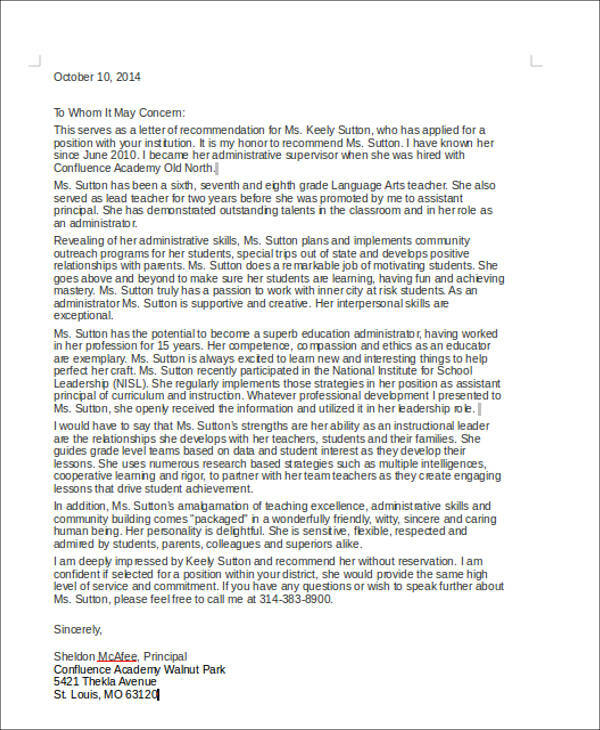 If you want more information, you can check out our free Recommendation Letter Samples.